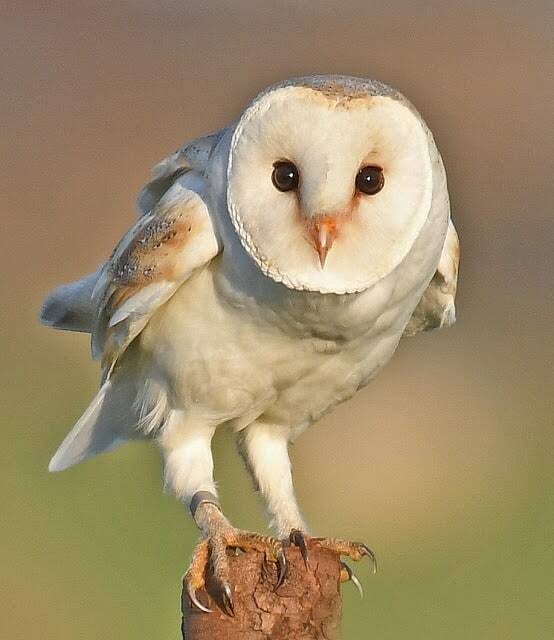 I began the year with an account of a barn owl. 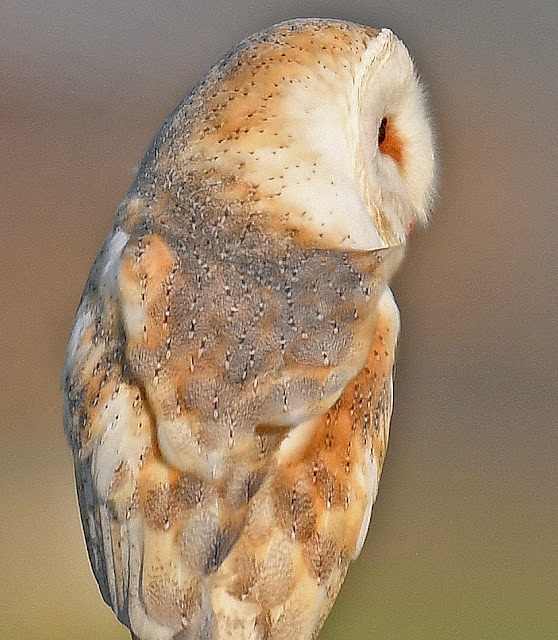 I am finishing the year with another account of barn owls. The weather so far in December has been awful with rain on most days and very dull conditions. Hardly conducive to good photography but there have been a couple of days when conditions have been ok. Around the middle of the month there was a sharp frost followed by blue skies and light winds, the perfect recipe for the barn owls to hopefully come out hunting in good light. It did indeed turn into a perfect afternoon and I was in position around 1pm awaiting the arrival of the barn owl. I have found that barn owls are very regular as to when they appear and not long after my arrival the barn owl came out to hunt. It was the same location as mentioned in my last post and I was able to photograph and observe this wonderful bird from the comfort of the car. It quartered the small field from time to time and did appear to catch something but a kestrel came along and disturbed it. On some of the images below you can see blood on the owl’s beak but the vole escaped to live another day. This will probably be my last posting this year as it is only a few days now to the Christmas festivities. Thanks to all my followers and I wish you all the best for Christmas and the New Year.I hope to return soon in 2019 with more of Lancashire’s wonderful wildlife. I am based in Preston. Lancashire. This central location enables me to travel easily to a wide variety of habitats in the North of England. I tend these days not to travel very far as I find that there is plenty to see not very far from home. On my own doorstep are a wonderful variety of habitats – natural woodlands, open fells and hill country, unspoilt river valleys and I have easy access to the delights of the Lake District and Yorkshire Dales National Parks. As you will see from my bird images much time is spent at the wonderful coastal sites forming part of Morecambe Bay and the Ribble Estuary e.g. Marshside and Leighton Moss. In recent years Digital Photography has taken over from Video and as time has moved on I have acquired more and more equipment – as you do! !I use Nikon Camera Equipment and currently use a Nikon D200 for general work and a D300 specifically for bird photography. The D300m is usually coupled to a 500mm F4 lens which has dramatically changed the quality of images that I am now able to obtain.I am enjoying being able to post images on Flickr and share the rewards of our wonderful interests with the rest of the world!! !